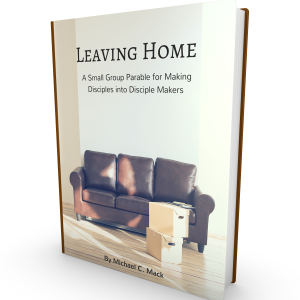 This is a must-have resource EVERY small group leader! A Bible study for every person, every group, every interest, every need Serendipity is what happens when two or three get together and share their lives―and the Holy Spirit does something beautiful when least expected. The Serendipity Bible makes leading a small group easier, even if you’ve never led a Bible study before. You don’t have to be a gifted teacher, because everything you need to lead a great small group is here in one flexible and easy-to-use package. The Serendipity Bible offers 60 course outlines for every felt need: spirituality, marketplace, recovery, marriage, and a myriad of special needs. It offers studies for every demographic: couples, singles, parents, youth, men, women, and many more. You can study the Bible by topic, book, or stories, or through studies that take you through the church year. Beginner studies use questions that are open-ended, promote sharing, and feature hard-hitting, relevant endings. Advanced Bible teachings take groups deeper with questions that help leaders start the meeting, take the group through the reading, and create an effective close to the meeting. Thousands of penetrating study questions and extensive study helps make the Serendipity Bible a flexible and exciting tool for Bible study leaders as well as for personal study. Developed in partnership with Serendipity House, an organization with years of experience in creating innovative Bible studies, the Serendipity Bible is an outstanding resource for Bible study groups of all kinds. It’s the ideal choice for groups that want to mine the riches of God’s Word; for individuals who want a superb personal study Bible; and for leaders who may lack the experience, but not the heart, for conducting group Bible studies that make a difference.